Antiference 75 series range of indoor distribution amplifiers is designed for the distribution of VHF/UHF, digital and analogue, radio and TV signals in domestic applications. 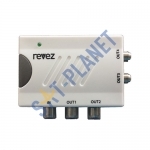 These models are designed to overcome the losses due to splitting of the signal and extra cable lengths needed to distribute signal to each room. This model is fully screened for high immunity to interference and impulse noise and are fitted with F-connectors for reliable and professional installation. These model is fully compatible with Infra Red Magic Eye remote Control systems. 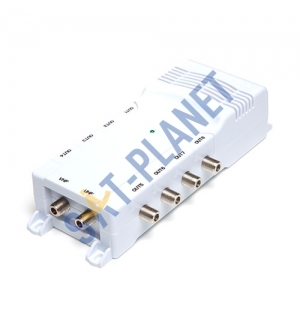 This makes it ideal for use in digital satellite home installations, where the output from a digibox can be distributed to several rooms with the capability for full remote control of the digibox in those rooms.